During the Holocaust, there was no other city in Europe where Germans, Poles and Jews lived so closely together and yet worlds apart as Lodz. 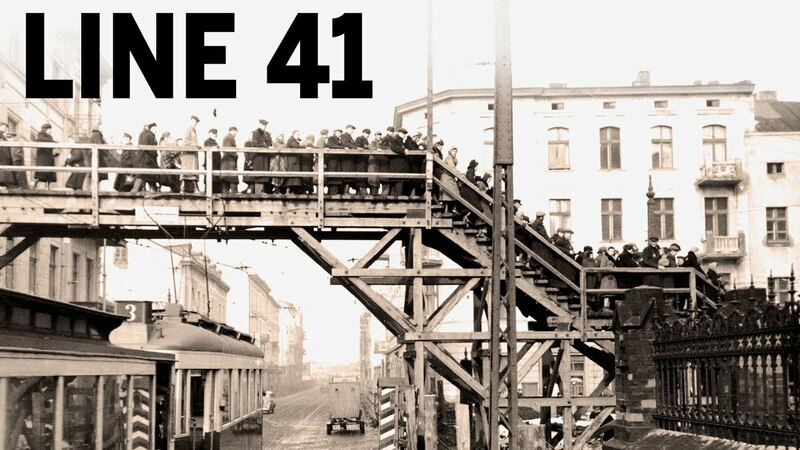 Several times a day for four years, the Line 41 streetcar passed through the Lodz Ghetto, but would never stop, making the suffering of the Jewish people abundantly clear to its indifferent riders. LINE 41 documents the return of Lodz Ghetto survivor Natan Grossmann to Poland after seventy years. Looking to discover the fate of his brother, with whom he had lost contact in 1942, he instead crosses paths with Jens-Jurgen Ventzki, the son of the former Nazi Head Mayor of Lodz. In tracing their family histories, Grossman and Ventzki discover a unique mix of victims, perpetrator and bystanders as they confront their feelings about the past and each other. "...a poetic evocation of the process of memory and the persistence of a nightmare that must never be forgotten."